UPDATE: Aug. 13, 1:50 p.m.
Tuesday, Aug. 14 at 9:30 a.m.
UPDATE: Aug. 9 at 2:09 p.m. The commencement ceremony that was canceled on Tuesday, August 7 has been rescheduled for Tuesday, August 14 at 9:30 a.m. The ceremony will be held at the FAU Arena, not in the Carole and Barry Kay Auditorium. 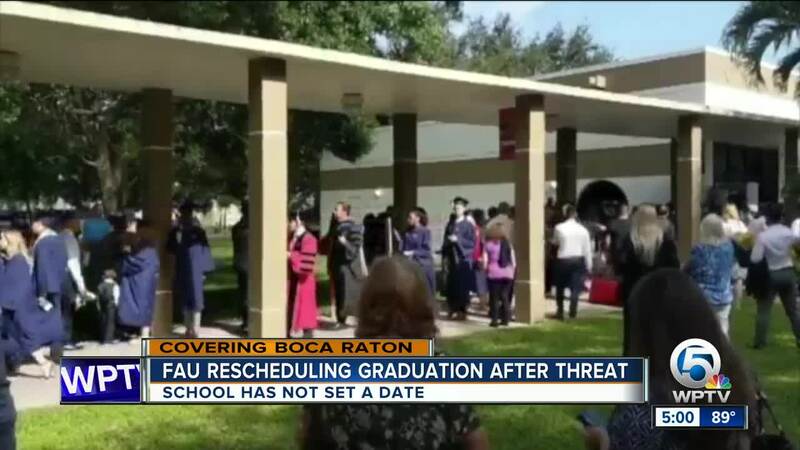 Florida Atlantic University is rescheduling a summer graduation ceremony after a threatening note canceled festivities Tuesday. The 5 p.m. graduation ceremony was canceled after the note was found in a woman’s bathroom in the business building. Police deemed the threat credible, forcing hundreds of students to evacuate the Student Union. Over 400 students were supposed to graduate in the ceremony Tuesday. 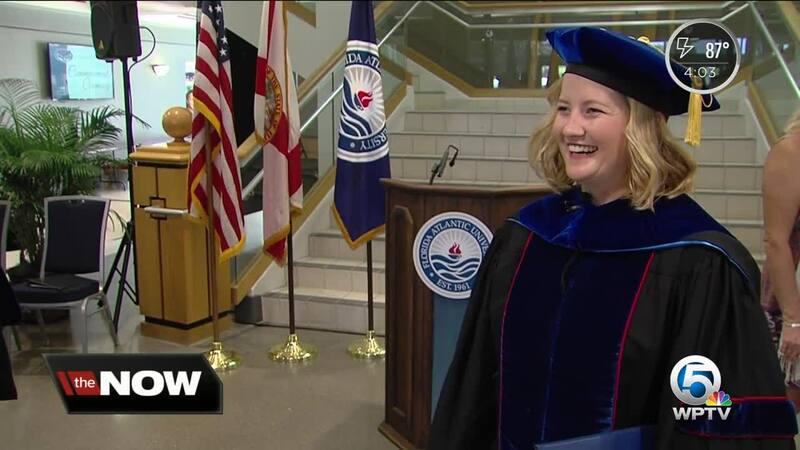 Alyson Myers said she was waiting to receive her Doctorate in experimental psyche, she said her parents are in town from the Bahamas and they are waiting to hear when the rescheduled ceremony will be. “I have been echoing my email every 20 minutes since this morning,” said Myers. 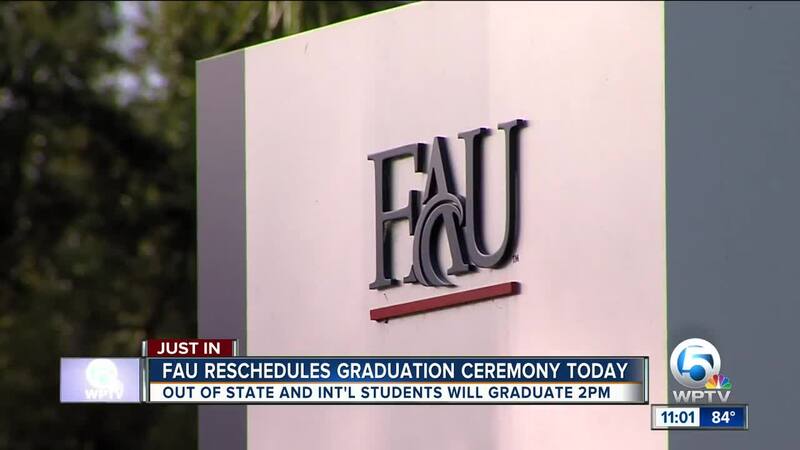 FAU said they will have a ceremony for out-out-state and international students this week, but have not given specifics yet. “My husband scheduled to leave tomorrow, I am here until Monday, we can always change his flight if need be, but we need to know soon,” said Myers' mother Debra Trewin. The family said they were not upset over the reason why the school canceled the Tuesday ceremony. Myers said they will use the time to take pictures and spend together. FAU Police are still investigating who left the note in the bathroom, no suspects have been named. Former FBI agent Stuart Kaplan said the school took the proper caution with the credible threat. Kaplan said when law enforcement receives a threat, they have to figure out if it is credible and reliable. 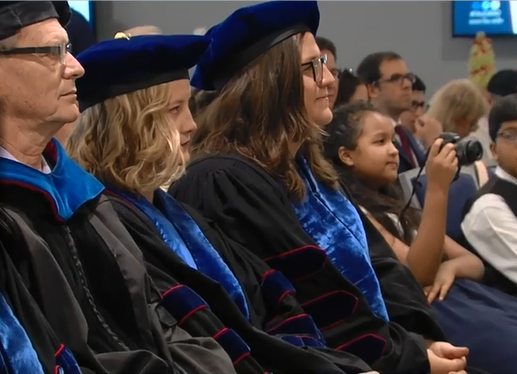 “When you weigh the risk versus bringing all these people into a fixed environment, law enforcement made a decision with the college that it was better and safer to cancel this ceremony,” said Kaplan. 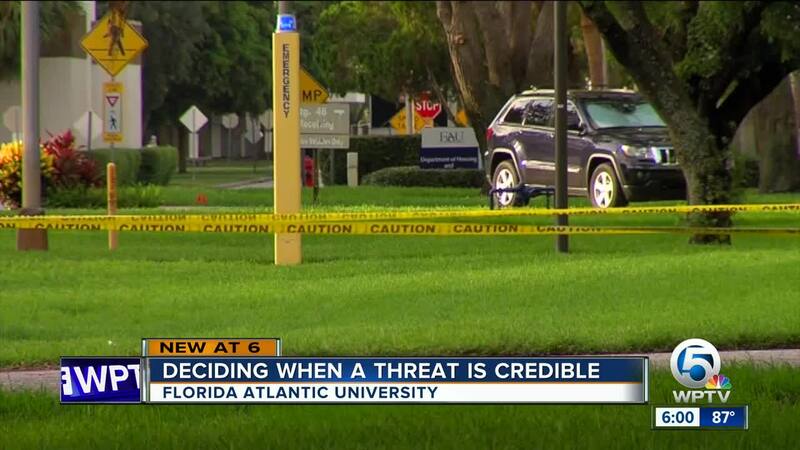 He said FAU had to act quickly since FAU police said the note had targeted the graduation ceremony. "All out-of-state and international students are being invited to a special commencement ceremony this week. Time and location specifics will be shared as soon as they are available. All other students are being invited to a rescheduled commencement event next week. Location and time will be determined based on the number who plan to attend. Any students who cannot make the rescheduled commencements will be invited to participate in the regularly scheduled Fall 2018 commencement ceremony this December with their college. All students affected by this rescheduling will also be invited to the Sept. 8 football game against Air Force, our first home game, for a special recognition. When more details are available, they will be shared via email and posted to http://www.fau.edu/advisory "
I hope you understand why it was necessary to cancel your Commencement ceremony yesterday for security reasons. The safety of everyone on our campuses is of paramount importance. I am working on options for you to enjoy the graduation ceremony you deserve. You will be contacted soon with details.